I didn’t really realise the importance of moisturising until recently when my skin became pretty darn dry. Especially on my face anyway, so that prompted me to start moisturising the rest of my body. 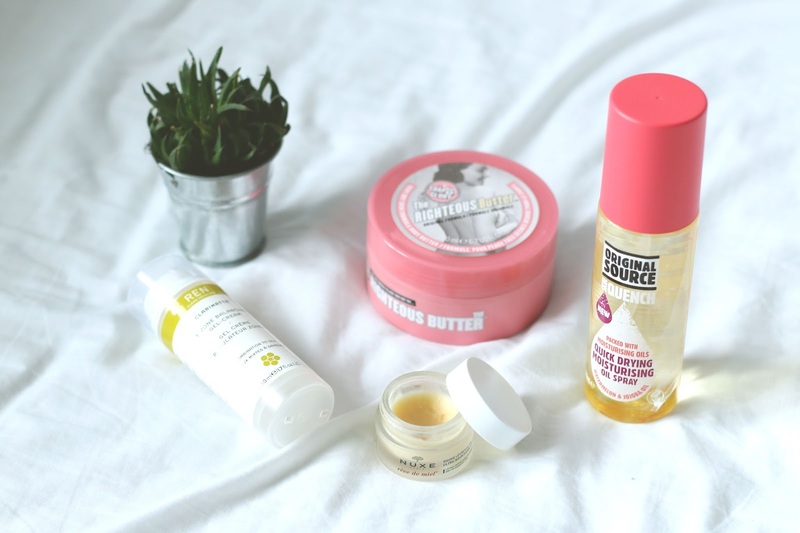 So here are my favourite products at the moment for moisturising! This stuff is incredible. I mentioned this in my current skincare routine post but I definitely think it needs another mention. I’d been looking for a new moisturiser for the longest time but couldn’t find anything that sounded like it’d suit my skin. This moisturiser helps to balance out your skin, which I needed as I have combination skin. I love how light weight this is and how quickly it sinks into the skin. It smells like lavender as well which is so lovely, its also a very natural product which is a bonus. This has helped to even out my skin and give great moisture! Ahh Soap & Glory. This brand is so wonderful and everything I’ve owned from them has been fabulous, and this is no exception. Its got the typical S&G scent which I really like, but sometimes it does end up smelling a bit odd once its sunk into the skin, is this just me or? But that aside this feels very rich and moisturising and is just a great body moisturiser in general! I love this stuff. Keeping your lips moisturised is just as important (in my opinion) as anywhere else on your body. I can’t stand having dry or flakey skin on my lips, its just a no go. So to prevent that, I apply this across my lips every night before I go to bed. I then wake up to super moisturised lips which makes me very happy. I’d really recommend this if you struggle with dry lips, its especially great in the winter months! This is pretty new to me, but I saw a blogger post about this last year and I never got round to picking it up. When I was browsing Boots it caught my eye and I remembered how much I wanted to try it! This is essentially an oil moisturiser so much lighter than the Soap & Glory offering. Also a LOT quicker to apply that a cream moisturiser, which I’m all about I must say. Just a few sprays across your body with a tiny bit of rubbing in and you’re good to go my friend. This is also vegan which is just so cool, its always good when a product does no harm to animals and is cruelty free. I love this and it smells really lovely too. 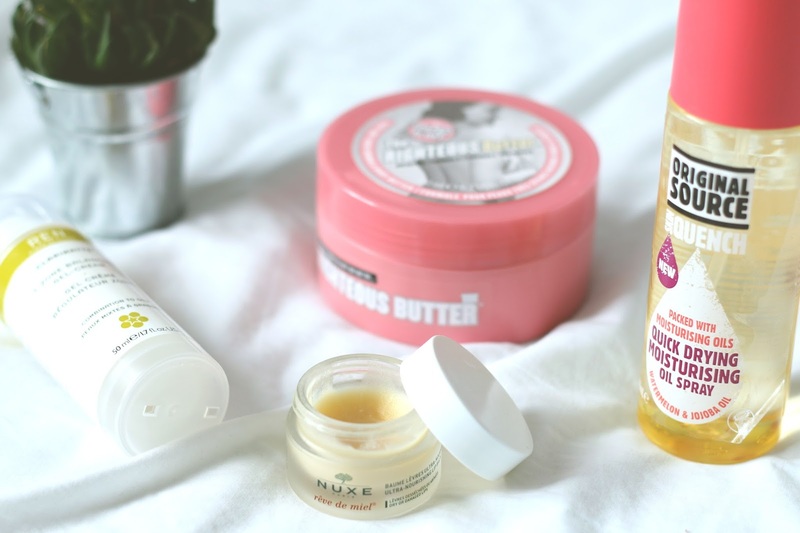 What are your favourite moisturising products?